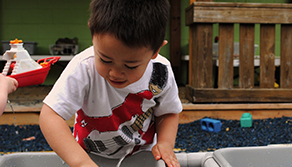 The Learning Pavilion is a non-profit preschool focused on creating an inclusive environment that promotes growth and development for all children. The Learning Pavilion has served children and their families for 30 years and is a leader in early education and care with an innovative campus specifically designed to maximize each child’s development. 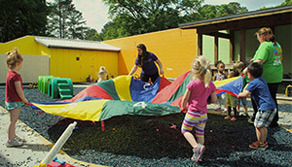 The Learning Pavilion is a highly acclaimed early childhood program for children ages six weeks to six years. All children, including those with disabilities are included in this fully mainstreamed educational model. All activities are individually planned to meet each child’s unique development. The program provides a variety of play opportunities through which each child is guided towards his/her optimal potential. The focus of all programming is the development of the whole child within a family. The Learning Pavilion provides its families with individual conferences, parent meetings, and many other supportive and interactive opportunities. 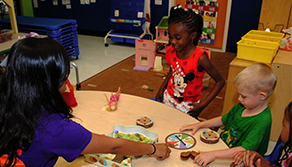 The Learning Pavilion provides developmental programs for infants, toddlers, preschool age, and VPK program, with carefully planned play experiences in which children have the opportunity to manipulate, explore, experiment, problem solve, make choices and practice skills. We know that the foundation to learning starts with nutrition. Our menus are carefully planned using USDA guidelines for young children. We serve nutritious homemade meals and snacks made with fresh, wholesome ingredients, served “family” style to maximize social, emotional and developmental growth.